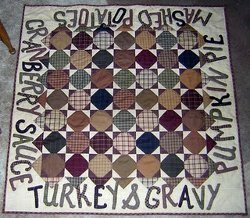 Bring a cozy warmth to your Thanksgiving feast with our collection of 75 Thanksgiving Crafts: Fantastic Fall Quilts and Turkey Appliques. The earthy colors and handmade charm of these quilt and applique projects will give you that fall feeling and help you celebrate the harvest in style. Deck your family out in Thanksgiving-themed apparel with our assortment of turkey appliques. The colorful birds make festive embellishments for t-shirts, onesies, aprons, and more. Then make sure your table is set with the most attractive decorations, like a patchwork table runner or a quilted cornucopias. Decorate the walls and halls with autumn wall hangings that can stay up all season long. Then add a few finishing touches that will make everyone smile, such as pumpkin coasters, quilted placecards, and turkey placemats! This is your one-stop shop for all your Thanksgiving-themed crafts. All of these quilting and applique patterns are made just for Thanksgiving, so you can bring them out for this special holiday every year. Turkeys and cornucopias make these projects the most festive sewing projects you can do for Thanksgiving. 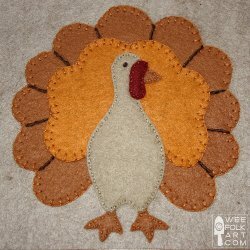 In this collection of 13 Quilted Thanksgiving Crafts and Turkey Appliques, you'll find plenty of projects to make Thanksgiving wearables and decorations. The turkey appliques in this collection let you add a turkey to any quilt or craft you like. Iron one onto a t-shirt for a quick Thanksgiving outfit or stitch one to a pillow for a festive home decoration. When you're done crafting, get started on the big dinner with eight delicious roast turkey recipes and turkey stuffing recipes from our friends at RecipeLion.com. Make sure to check out this list of 15 Simple Turkey Appliques and Scrumptious Turkey Recipes. 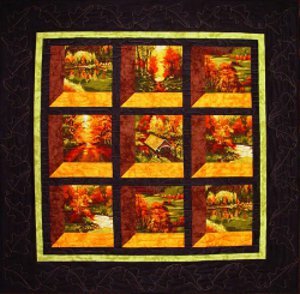 Let your fall quilts do double duty as decorations for both Thanksgiving and autumn. You can make these earth-toned quilt patterns as crafts for Thanksgiving this year, and then use them as decorations all season long next year. With designs of leaves, pumpkins, and acorns, these 15 Cozy and Comforting Fall Quilt Projects will help you celebrate the season. Of course, you can't have Thanksgiving without pumpkins either. 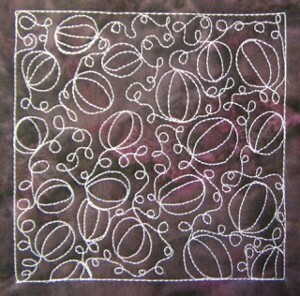 Even if you don't like pumpkin pie, you can include this gourd in your celebration by making a pumpkin quilt pattern. 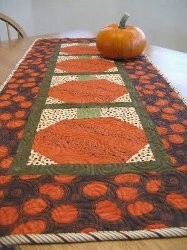 In this list of 15 Pumpkin Patterns: Free Tutorials for Fall Quilts, you'll find all kinds of pumpkin quilts and pumpkin quilt blocks. Put a pumpkin on a pillow, or choose a pumpkin quilt block you like and make a handful of them as placemats. Thanksgiving is all about getting the family together around the table, which means you should have it properly decorated. That won't be a problem if you use the table runner quilt patterns and table topper ideas from 17 Thanksgiving Ideas: Free Quilt Patterns for Table Toppers, Table Runners, and More. See all our Thanksgiving quilt patterns and holiday home decor in our Brand-New Thanksgiving Quilt Patterns! Get the very latest free quilt designs, from free motion to full bed quilts. Whether you're looking to decorate your kitchen for the big meal or just want to bring a flush of fall to your living room, these are the designs for you! 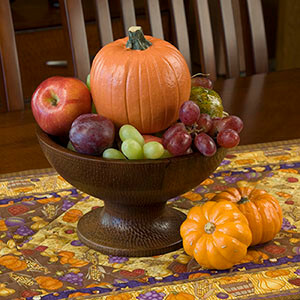 Never miss a pattern like this amazing Pumpkin Patch Free Motion Design or the phenomenal Autumn Harvest Table Runner. Get your whole house into the Thanksgiving spirit!